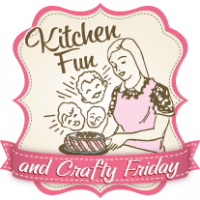 We were asked by Callye of The Sweet Adventures of Sugarbelle if we wanted to be included in a group of bloggers to create anything we wanted using a pumpkin shaped cookie cutter. We said…absolutely! Callye creates the most amazing cookies we have ever seen and is so talented! We felt so honored that she would think of us to help with this project of hers! I have to admit that we were a bit intimidated being combined with such talent. As most of you know…we make a lot of s’mores pops. They are always my boys favorite treat. They are super easy to make as well. We thought that a Owl S’mores on a Stick would be fun to make using our pumpkin cookie cutter. We also made a small thought bubble using a mini pumpkin cookie cutter. Also, remember the giant box of marshmallows we received from Jet-Puffed? Well..we had fun dipping into that box to make these! Optional…. we got a bit crafty with one of our owls using brown construction paper, a large pretzel stick, and a orange pipe cleaner. You want to start out by cutting out the pumpkin shapes from your graham crackers using your pumpkin cookie cutter. Ours always cut right through without any breaking. However, if they do just push it back together & glue on the back side with the chocolate cookie frosting….let set. You want to flip the cut out graham crackers with the insides facing up. 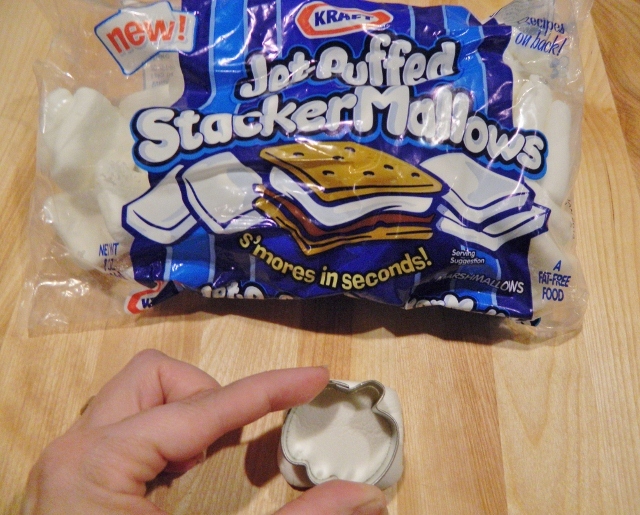 Cut a jumbo marshmallow in half using kitchen scissors. Then cut a slit to the middle. Take a large marshmallow and push in the middle of the slit on the jumbo marshmallow. Squeeze the chocolate cookie frosting on one of the graham cut outs. Place the marshmallows on top. They squeeze more frosting on top of the marshmallows. Place another graham cut out on top and let set for 5-10 minutes. Push in the lollipop stick through the bottoms. We cut mini marshmallows in a triangle shape using kitchen scissors and sprayed them on wax paper with orange color spray. 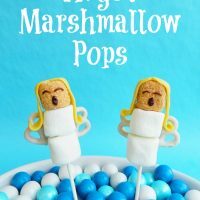 You could also color them with orange edible marker or used the mini colored marshmallows. The mini color marshmallows are very light in color so we wanted ours to stand out a bit. We cut a large marshmallow in half. We attached them on the face for the eyes using the chocolate cookie frosting. We decorated around the eyes using the chocolate frosting. We attached 2 chocolate chips on the marshmallows for pupils and attached 2 chocolate chips on the top for the ears. We also attached the orange mini marshmallow on the bottom using the frosting. 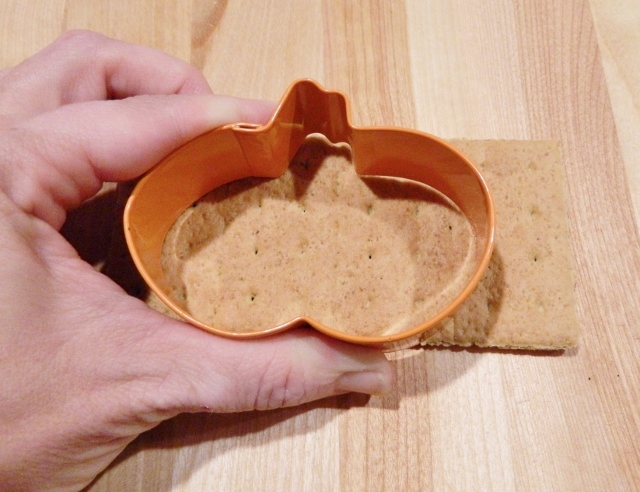 We cut out a small pumpkin shape using a mini pumpkin cookie cutter. We flipped it upside down. We wrote Hoo Hoo using a black edible marker. We colored a tooth pick with our black edible marker and pressed it in the pumpkin bubble and the marshmallow on the side of the owl. We cut mini marshmallows in half and glued them a couple on the black toothpick with frosting. For our crafty owl we made feet on the ends of a orange pipe cleaner. We wrapped the pipe cleaner around a large pretzel stick and wrapped up with lollipop stick. We cut out a triangle piece from brown construction paper and tucked it under the face and feet. 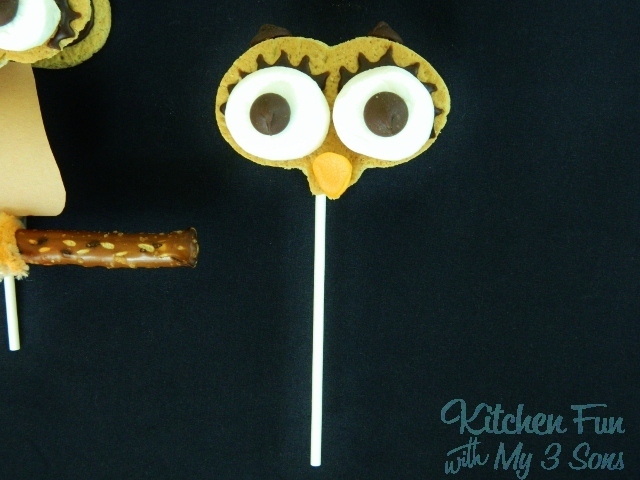 Here is a close up of our crafty owl…. Here is a close up of the Hoo Hoo thought bubble…. These Owl S’mores on a Stick were so fun to make with my boys and they loved them! My boys were running around with these and they are very sturdy! Even our crafty owl! 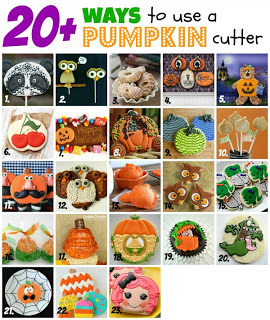 Check out all of the other fabulous 20 Plus Ways to use a Pumpkin Cutter creations hosted by The Adventures of Sweet Sugarbelle! Owl "Smores?? Nothing could be better in the Fall!! Love this idea!! You are so creative! You've done it again, Jill! Your owls are darling! I love him perched on his pretzel branch! leave it to you to have the CUTEST smore idea EVER!! What a clever way to use your cutter, but then again, you are one of the most clever bloggers I have ever seen…..amazing. aww they are so cute! 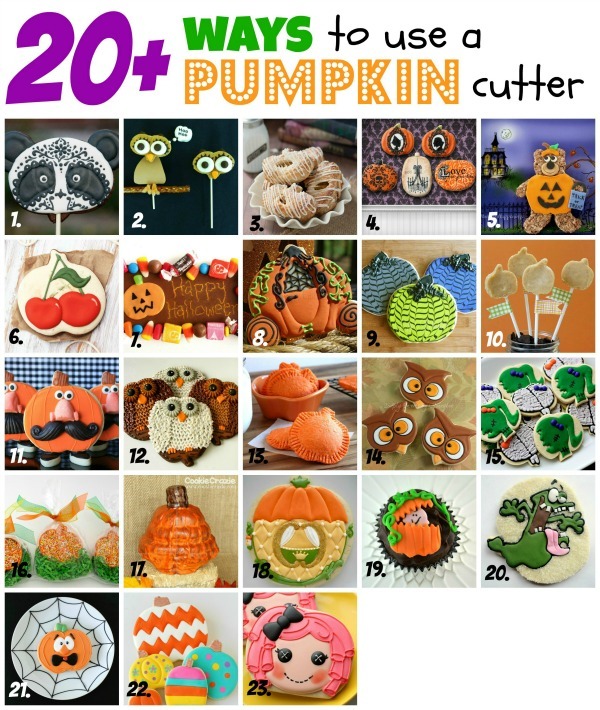 I would have never pictured using a pumpkin cutter to make an owl! cute! Clever, as always! 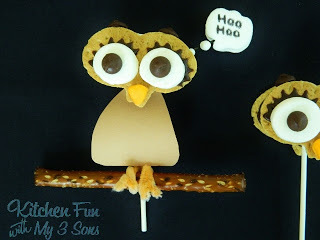 I love the "hoo hoo" marshmallow bubble and the pretzel tree limb. It really completes the whole look to your picture. 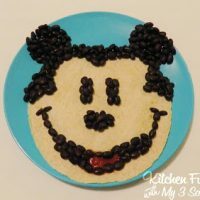 I really enjoy all the super cute ways you shape food into FUN! Can I please come and live in your house? You must be the most fun mom ever!!!!! These are fabulous. So happy to do this project with you!!! I LOVE these!! Using the pumpkin as the thought bubble is PURE GENIUS!!! I'm totally going to use that!! I'm SUCH a sucker for the s'mores on a stick thing, sigh. Love! Adorable!! What a clever idea 🙂 Thanks for sharing and blessings to you! How cute!!!!! I love owls! Cute! I now a ton of people at my house that would love these! Thanks for sharing! Very clever idea. Thanks for sharing! These are so cute! 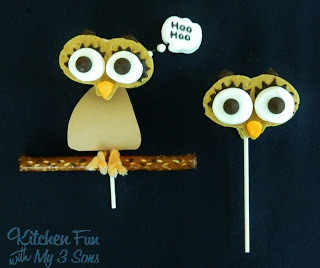 They're perfect for an owl themed party or to add a fun touch to Halloween. I love how you used marshmallows and an upside down pumpkin cookie cutter to make them. So creative! I wanted to invite you to share this project on my blog, Confetti Diaries, link party this week. I know it would be great inspiration for my readers. We hope to see you there! These are so awesome! 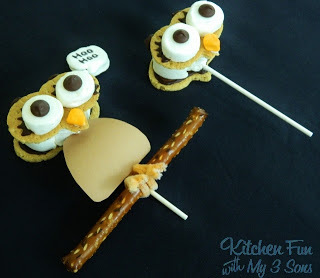 I love s'mores and these are such a cute version for Halloween!